Encore Protection’s emergency dispatch system helps us locate a breakdown location in just seconds! Using our LocateMe® technology, we can find drivers who call us from any wireless or landline phone. Plus, our automated dispatch notifications keep you updated on the progress of your service call to ensure the job is completed to your satisfaction. Read more about our up-to-the-minute roadside protection emergency dispatch system below. In an exclusive partnership with AT&T, Encore Protection’s GPS technology solution, called LocateMe™, pinpoints breakdown locations quickly and accurately. This dramatically improves the speed, accuracy, and efficiency of locating a disabled vehicle and its driver through the same device used to contact Encore Protection’s 24-Hour Roadside Assistance Customer Service line– regardless of phone carrier. Encore Protection’s emergency service dispatch system contacts drivers with the dispatched provider’s name and estimated time of arrival (ETA). Drivers have the ability to select whether they would like the information transmitted via e-mail or text, and they also have the option to be transferred back to a live Encore Protection assistance coordinator if they need further assistance. Encore Protection’s emergency roadside assistance dispatch system will send an automated dispatch confirmation call once the dispatch ETA has expired. Drivers not only have the option to confirm the completion of the service, but they also have the ability to participate in a survey regarding their roadside experience. If the service has yet to be completed, the driver can be transferred through a high-priority queue back to a live Encore Protection assistance coordinator for further follow-up with the dispatched roadside assistance provider. We’re Here for You and Your Drivers. Anytime. Anywhere. 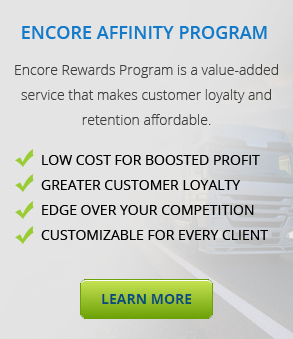 Encore Protection cares about getting you and your drivers back on the road and back to work quickly and safely. Whether you run a small business, a government fleet, or a large corporate fleet, we offer emergency roadside assistance 24/7, 365 days a year. To learn more about our emergency dispatch system, please contact us here or gives us a call us at 1-844-6ENCORE (1-844-636-2673). I purchased Encore Protection for my daughter who just started attending a local university and I am so glad I did. My daughter’s car broke down in a rough part of town – she was anxious and very afraid to get out of the car. She called the emergency phone number and the lady she talked to was very kind and calmed her down. Encore towed the car back to our home about 20 miles from the break down and all of us including my daughter couldn’t be happier we chose Encore.